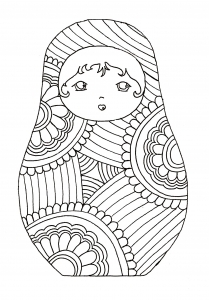 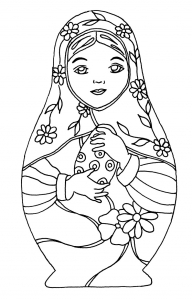 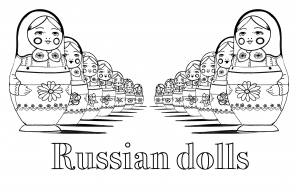 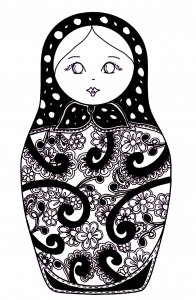 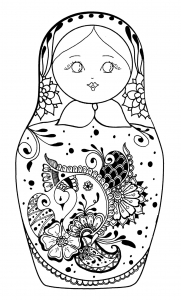 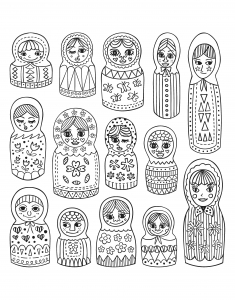 Discover our gallery of coloring pages inspired by Russian dolls. 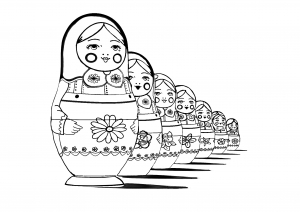 They are also called Matryoshka. 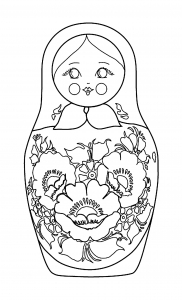 Did you know that this decorative object appeared in the late 19th century and was inspired by dolls from Honshu, the main island in Japan ? 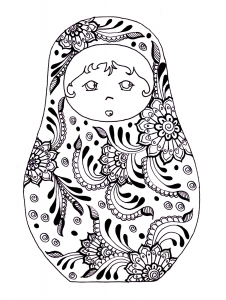 It is also called Matryoshka doll. 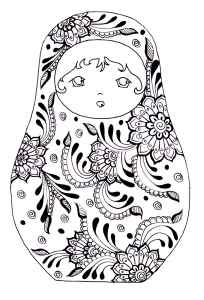 Each of these drawings contains original and complex designs and patterns, either abstract or inspired by nature. 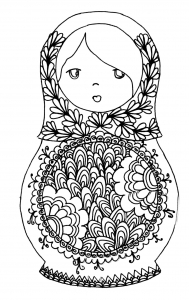 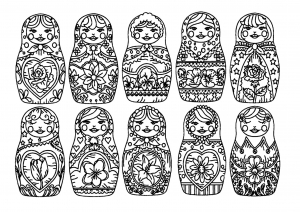 Don't hesitate to add some details with black pencil before coloring these Russian dolls ! 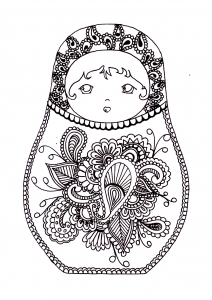 The result will be even more beautiful. 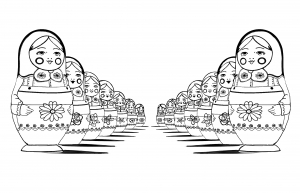 Russian dolls : with perspective effect ... face to face !